Want to excel at the National Business and Technical Examinations Board (NABTEB) May/June or Nov/Dec examinations? Download the NABTEB Syllabus for all subjects below to aid you with your preparation for the exams. RECOMMENDED: NABTEB Past Questions and Answers All Subjects. CLICK HERE TO DOWNLOAD NOV/DEC NATIONAL BUSINESS CERTIFICATE (NBC)/NATIONAL TECHNICAL CERTIFICATE (NTC) EXAMINATIONS EXAMINATION STRUCTURE SUBJECT COMBINATION PER TRADE BASED ON NBTE SYLLABUS. CLICK HERE TO DOWNLOAD NOVEMBER/DECEMBER ANBC/ANTC EXAMINATIONS EXAMINATION STRUCTURE SUBJECT COMBINATION PER TRADE BASED ON NBTE SYLLABUS. 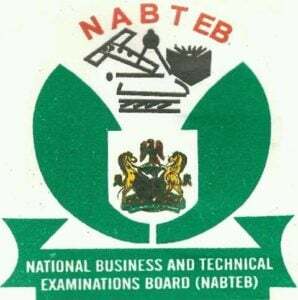 Previous Post: National Business and Technical Examinations Board (NABTEB) Past Questions and Answers All Subjects - FREE DOWNLOAD!